Genoa-based shipping firm Carbofin, part of Carboflotta group, has just signed a MOA for the purchase of a resale newbuilding LPG tanker from South Korean shipyard Hyundai Heavy Industries. “We are finalizing an investment which is worth some $45m for a mid-size LPG tanker newbuilding still to be delivered by the shipyard,” Carboflotta’s chairman Enrico Filippi and CEO Enrico Telesio revealed to Splash. The vessel, set to be renamed EnricoFermi, has a capacity of 38,000 cu m and once completed will be delivered to the Greek shipowner which signed the original order in 2015 and then sold on to Carbofin whose investment will be supported by Italian banks BPER and Banca Popolare di Sondrio. 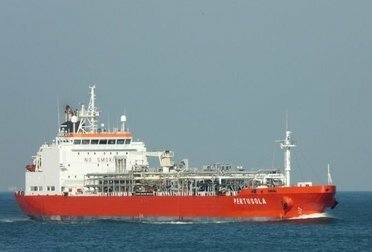 Carboflotta group owns a fleet of six mid-size LPG tankers with capacity ranging from 17,200 to 38,400 cu m and deployed with time charters on routes in Central America. The oldest unit in the fleet, the 1996-built Solaro, is the only vessel of the group active on the spot market and is currently for sale.